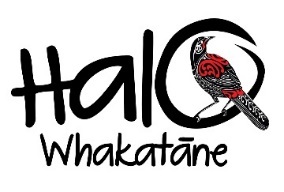 Thank you for your interest in supporting the Whakatāne Kiwi Trust Trap Sponsorship Project! However, without active management this endangered bird and other native species are at risk of declining again towards extinction. The Rotary/Whakatane Kiwi Trust partnership aims to help protect our national namesake by promoting predator trap sponsorship and by building and selling traps to individuals wanting to contribute to the project by trapping predators in their own backyard. They also make the perfect gift! The cost to sponsor a stoat trap is $135 per annum. You have the ability to see your trap online to monitor ‘trap catches’ and if you email us your business logo we will add it to the trapping project map. This is a great, low cost, way to advertise your business or compete with colleagues, friends and family for the most ‘trap catches’, so take time to choose your trap. Click on each trap to view the most recent catches. All traps are regularly checked and maintained by one of the many dedicated kiwi project trap volunteers. Proceeds from trap sponsorship assist local youth environmental initiatives, environmental education in local schools, trap replacement and maintenance, support for the many volunteers and helps bring the community groups together working towards a common goal. The cost to buy a locally made DOC 200 predator trap is $100. Target species are rats, hedgehogs, weasels and stoats. The trap comes assembled ready to go, all you need to do is find a suitable position for the trap, email the GPS coordinates so the trap location can be logged online and ‘trap catches’ recorded. Assistance with location, trap set up and monitoring is available if required. Personalise, paint, gift or raffle the trap. This can be a gift with a difference that is also great at catching pests. 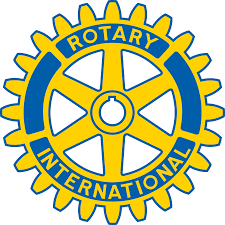 Proceeds from this sale directly assist Whakatāne Menz Shed, Rotary and the community. If you or your organisation is keen to sponsor or buy a stoat trap you are not only helping to protect our iconic wildlife, you are also supporting the following local partners.